Policy shapes our industry and so the Trust has had a busy year promoting Passivhaus as a solution for reducing emissions, addressing fuel poverty and improving health. The policy landscape across the UK is complex with cities and regions all looking to put in place energy policies, but all with slightly different approaches and goals. Over the past 12 months, the Trust has responded to consultations from the Welsh and Scottish Governments, the Greater London Authority, the department for Business, Energy and Industrial Strategy (BEIS) and the Greater Manchester Authority whilst working quietly behind the scenes with industry partners to ensure Passivhaus is on the policy agenda. The Trust also made the most of the recent visit of Sean Pander, Green Building Manager from the City of Vancouver, who was the keynote speaker at this year’s UK Passivhaus Conference: Passivhaus & the road to zero carbon. Sean took the time to meet with representatives from BEIS who were keen to hear about how Vancouver has worked in harmony with the construction industry to develop policies that will see all their new buildings be zero carbon by 2030 through the use of Passivhaus. So what else is on the policy agenda? We are currently building homes which might have typical theoretical emissions of around 21 kgCO2/m2.year. Add in the 60% performance gap, and this jumps to typical actual emissions of 34 kgCO2/m2.year. In contrast, a Passivhaus will typically have a comparable emissions rate of around 10 kgCO2/m2.year. – less than a third. To put this into context, a 90m2 Passivhaus using an Air Source Heat Pump, would need only 8 Solar PV Panels to be Zero Carbon, whereas an average new-build home would need 40. 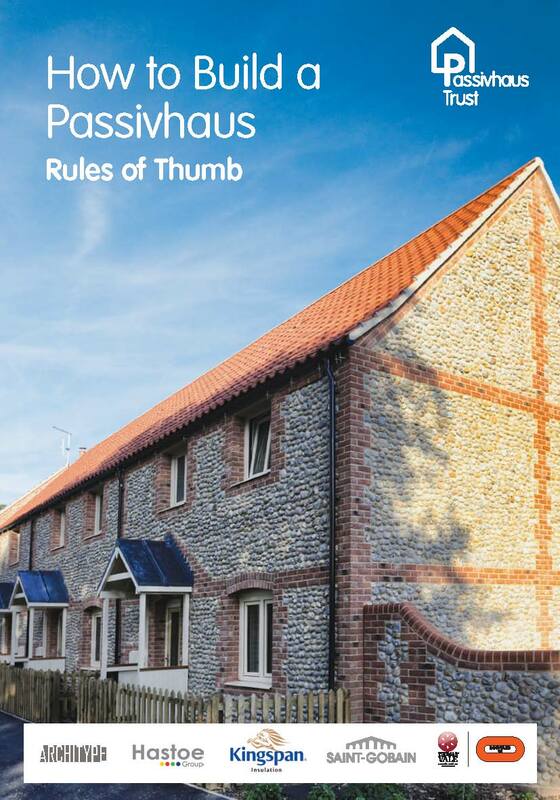 For policy makers looking to set out a route to zero carbon, the Trust has been promoting Passivhaus as a proven methodology which could form part of a policy roadmap. Policy makers have a delicate balancing act and need to be able to quantify and justify any new policy in the current political & financial climate. The first question is often cost viability. The Trust is therefore undertaking research to demonstrate the costs & benefits of Passivhaus. Poor early design and a bad form factor can make a Passivhaus expensive and difficult to build. Conversely, a robust and well thought through design can be built for a modest additional cost. What we have learned from experiences in other parts of the world, is that Passivhaus costs decrease close to parity over time as the industry upskills and supply chains mature. Now that we have just passed the 1000th certified Passivhaus in the UK, and have an improved awareness of the Standard, these steps are beginning to take shape. There is a lot of current policy activity in this area with some great examples in other parts of the world, such as Vancouver, Brussels and New York demonstrating that putting Passivhaus into legislation can be made to work for developers whilst also delivering on emissions reductions. Parts of the UK are now waking up to this and we have recently seen Glasgow City Council leading the way by including Passivhaus as an option for energy compliance as part of their planning requirements. If we are to get anywhere near our emissions targets for 2030 and beyond, the rest of the UK must follow. To explore this topic further, we would like to invite all PHT members to join us on the 31st January at the Saint Gobain Innovation Centre as we discuss the Passivhaus 2030 road map.